The Salming Kobra. 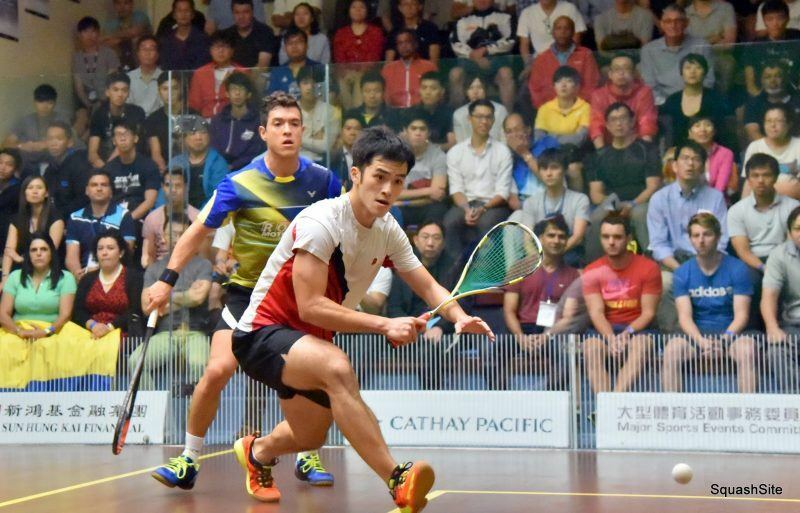 This was first added to the Salming squash shoes lineup around June 2016, and some new models came out in 2017. 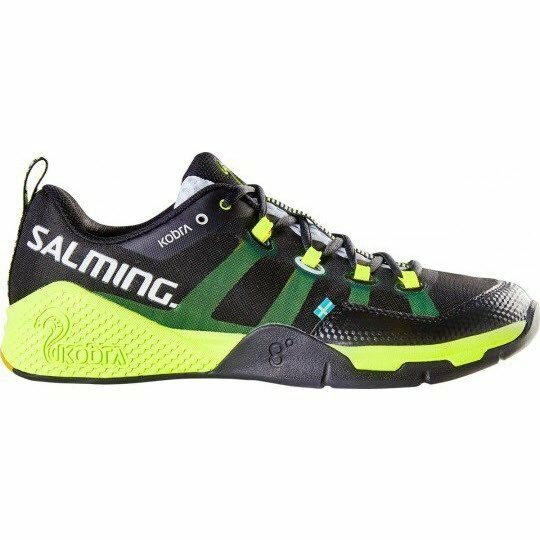 I also did a follow-up review here, and compared my experience of the Salming Kobra versus the Salming Race R2. 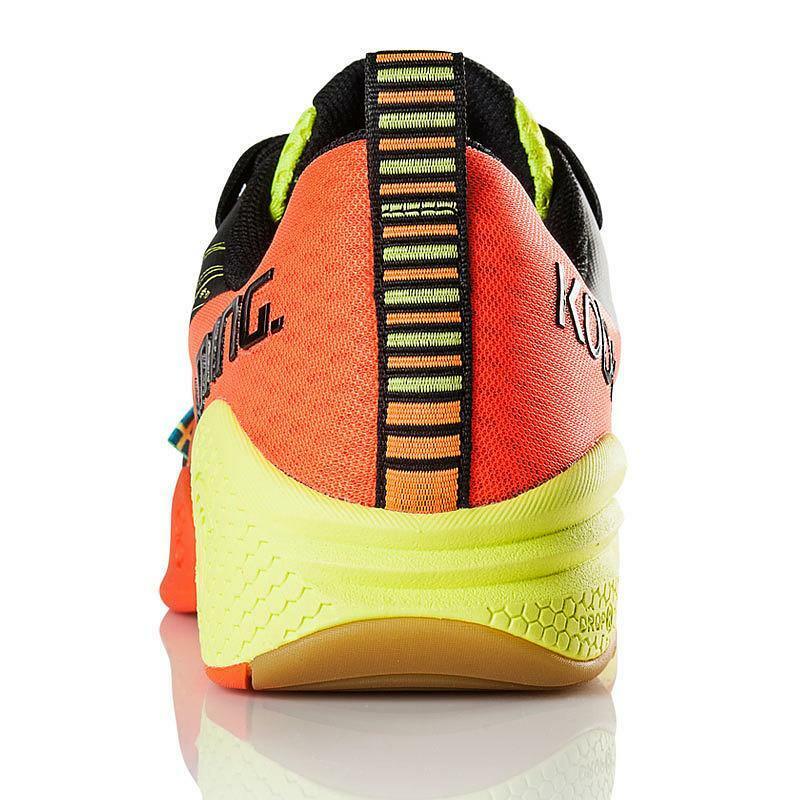 In order to facilitate agility and stability but still maintain the lightweight characteristics, we have designed the midsole rear end with higher side walls that wraps around the heel area. In combination with the LMS Plus 8° and the new fully integrated ExoSkeleton construction, it ensures an excellent stability and perfect fit. Kobra’s ExoSkeleton design is totally integrated with the lacing construction in order to facilitate the best possible wrap-around effect of the foot. 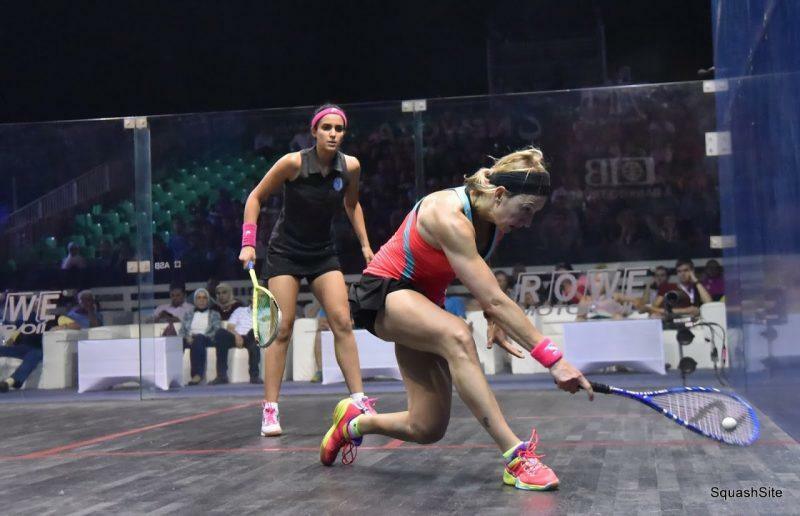 This keeps the foot it in the right position during lateral movements and high performance activities. 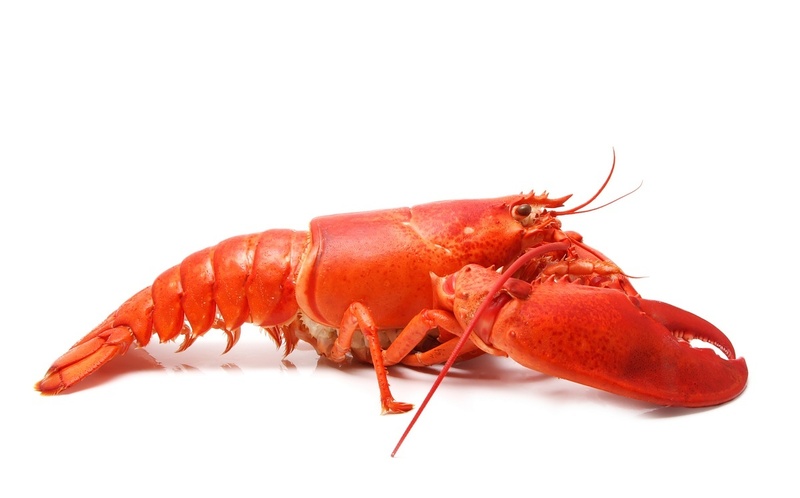 I like the idea of a fully integrated exoskeleton now that you mention it. 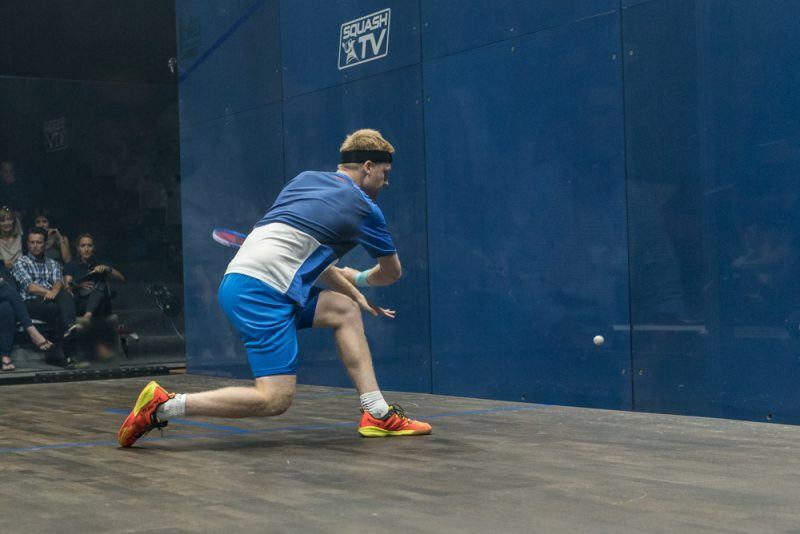 Thanks to Jeroen for the initial tip on these shoes, thanks to David for spotting all the pros, and thanks to JLB and Mark for the tips on the 2017 models! This white one was spotted later. Thanks to David for the tip! 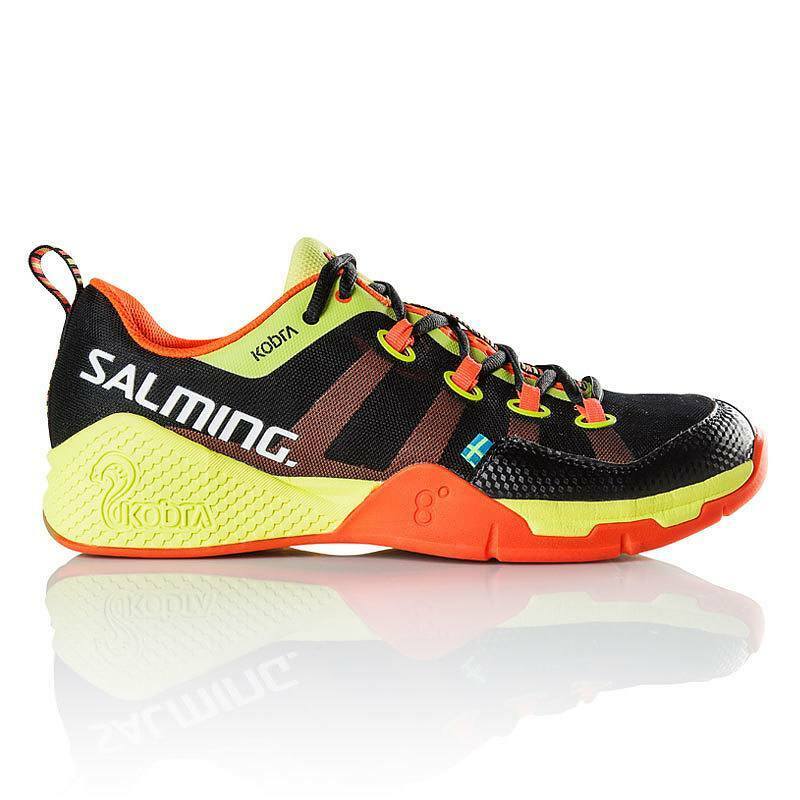 I’m hoping to get some advice/guidance on the Salming line of shoes. 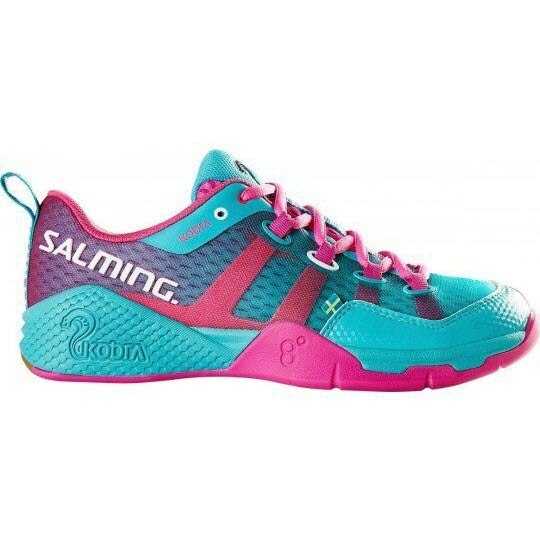 I’ve been playing with the salming race R2 in purple/yellow (love bright and loud shoes) for a very long time now. Still in decent condition but the traction is not so great anymore. I usually wear a 9 in shoes but went with the 8.5 because they were a bit more snug. They’ve since widened up and they still fit and feel amazing! 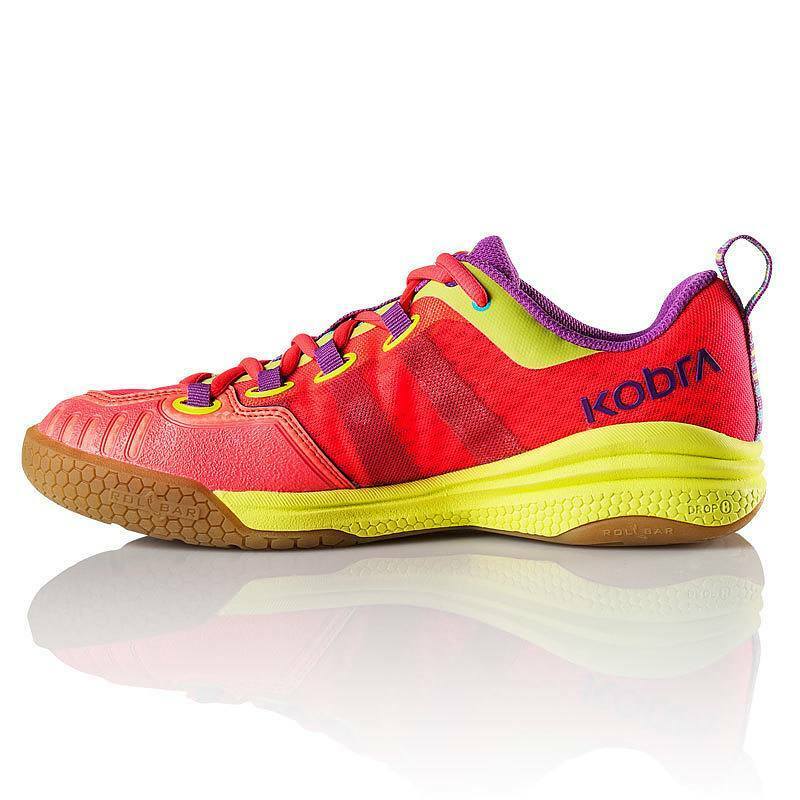 I just ordered the Kobra in blue/yellow in 8.5 and I tried them on and in the court to hit around. They are snug but not sure if that’s too snug or not because I can feel the extra support and padding in the front of the Kobra. They also felt completely different than the Race. When I walk around it’s a heavy and quick drop from heel to the floor. Maybe that’s good and makes it quicker to get set for a shot? My question is…if I loved my race r2’s and I want newer Salmings would you recommend trying the vipers or the new hawks? Stick with the Kobra? 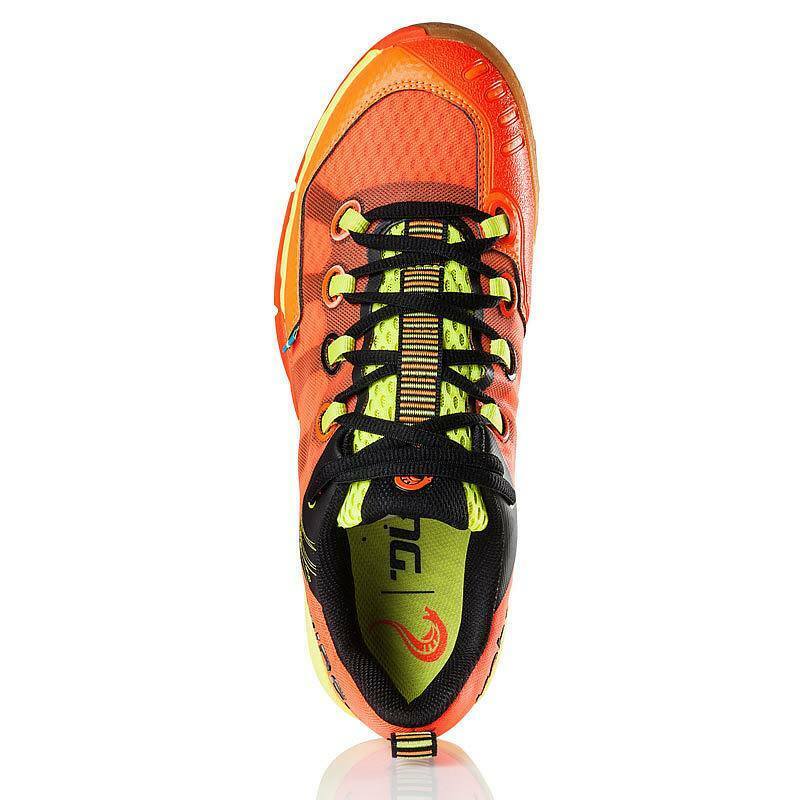 I really just want a new pair of race r2 in purple or any color but can’t find them. I’m conflicted because I want cushioning and performance but also love to feel the court. Sizing is also a concern because the Kobras do feel snug and I wasn’t in love with them. I’m almost tempted to stay with the race r2s until the brake apart. Good question. I agree the Kobras feel different from the Race models. The Viper feels a little different from the Race too. Hawk I haven’t tried, but I understand it’s a completely different construction. My thought is to look at the Race X. I haven’t tried it myself, but based on the photos I think it looks most similar. Will see if anyone else weighs in on this. Thanks. I may have to check out the Race X now. To update from my original post, I have a pair of Hawks in a 9.0 to compare against the Kobras (8.5). I have yet to play in the Hawks but from wearing them around they feel great. The biggest thing I’ve noticed in the Kobra is the amount of support that it has. It really won’t let me roll my foot over. The half size difference makes it hard to compare because the Kobra’s are snug. I’d be curious to see if anyone has any comparisons of the Kobra vs. Hawk. I’d like to see a Kobra Vs Hawk comparison as well … I just recently got a pair of Hawks in the winter colour (white with the light blue transparent soles) at the end of January and as a shoe, they feel great. 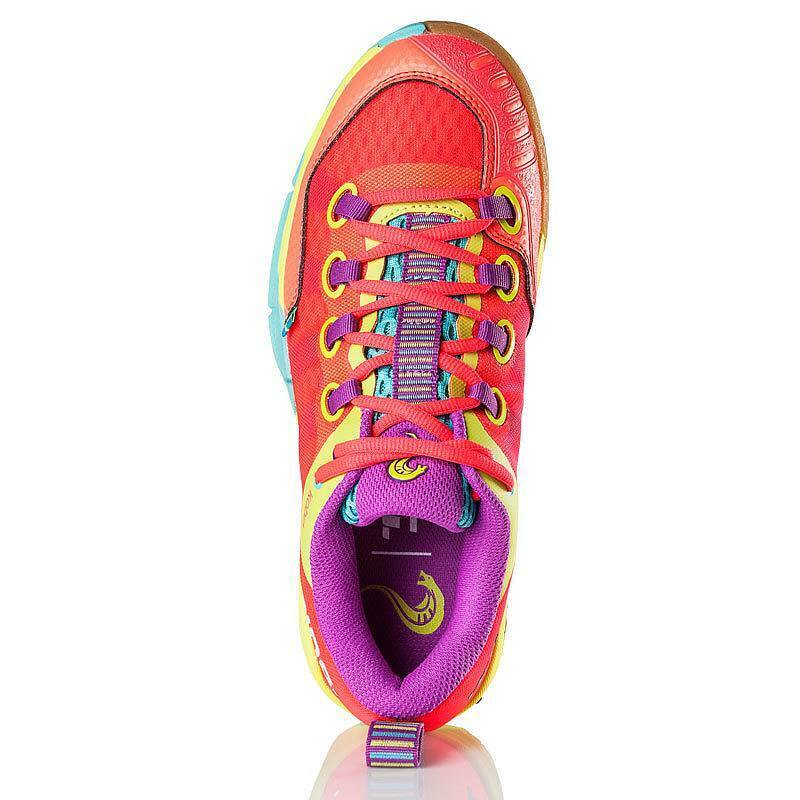 Very comfortable, supportive, flexible and breathable – not to mention light! 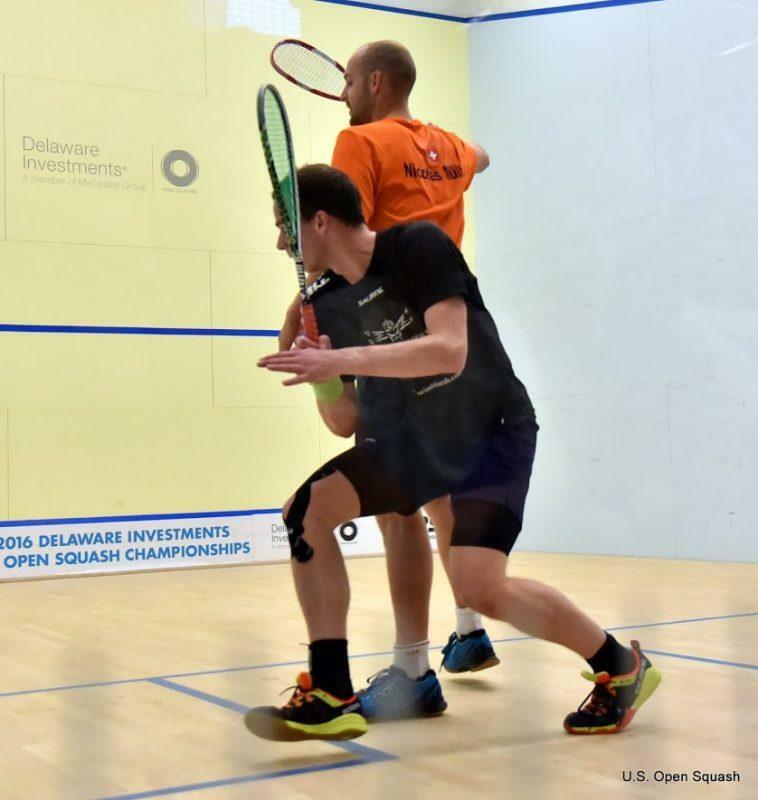 I was liking them a lot, until I noticed a few slips I had during mid games on a couple different courts. I will write my experience in the Hawk section a little later… but as for Kobra’s .. 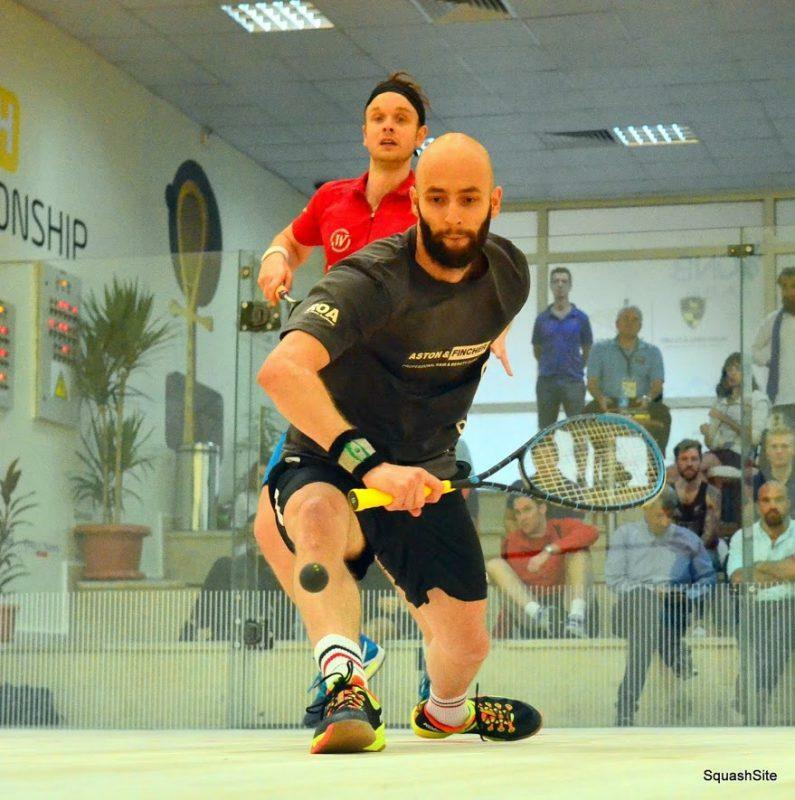 I was originally eyeballing the Kobra 1 or 2’s in white before I got the Hawk’s, the feedback seems to be they are great shoes, however the bottom is practically the same ..Hexagrip at least in the upper half of the shoe.. so anyone else who has these shoes experience any slips on court due to lack of grip? 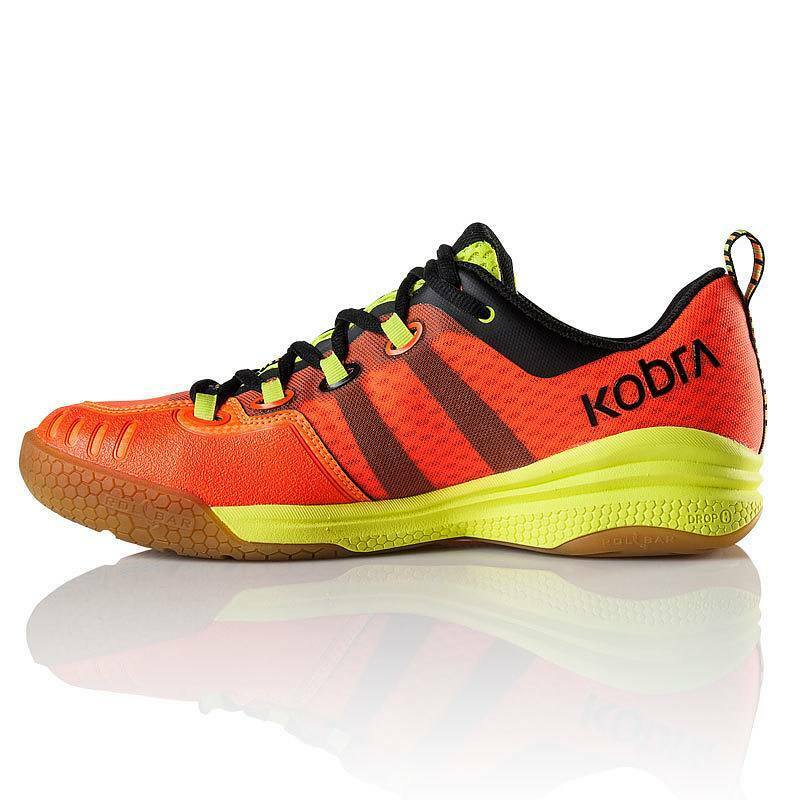 Actually I am little bit concerned now, because when I’ll try the new Kobra’s on court I won’t be able to return them… I’m thinking if to order and try Hawk’s or not.. 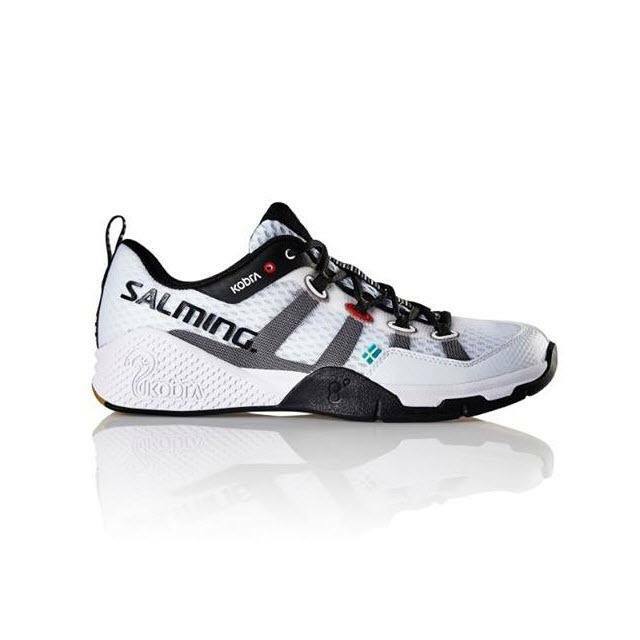 The problem is that the local store stooped selling Salming in my city and I have to buy them from online store, try them at home and in case return them.. paying for the shipping. Great videos on your site I got the Kobras and the superfeet carbons based on your reviews i’m waiting for them to arrive.. 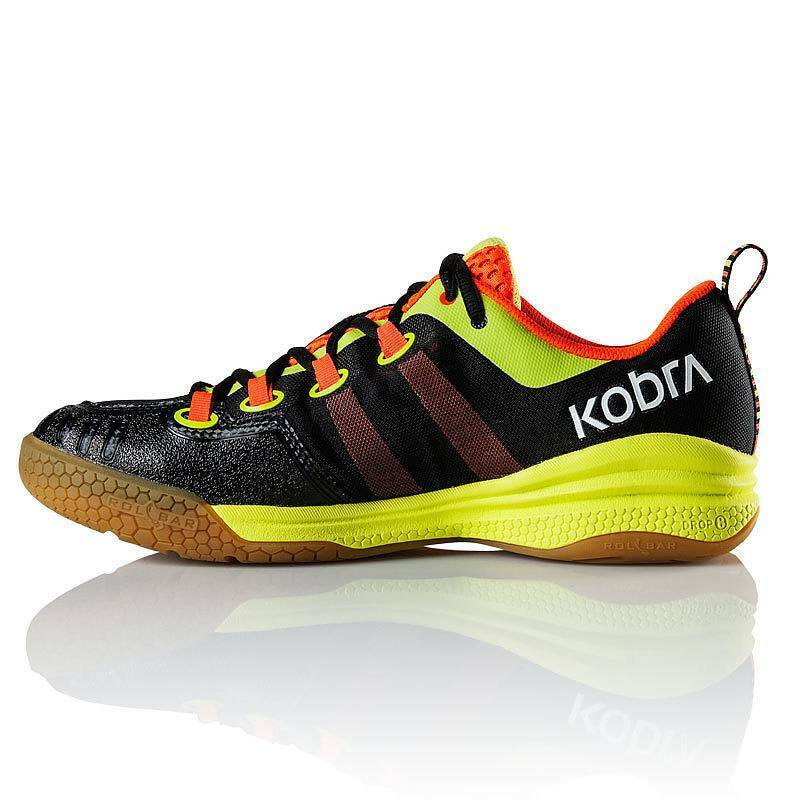 I have just bought the Kobra Mid’s and really like them. They run true to size (I wear UK 9.5’s and have somewhat wide feet in the toe area), perhaps better than the R9 Mid‘s which I found a little tight in the toe box. They are a lot better than the new Asics models which almost universally have a tight and uncomfortable toe box. They are very light, much lighter than my R9’s which is surprising because they are a very deep shoe. The tongue is integrated into the shoe which makes getting my Aircast A60’s inside a little tricky but they do fit. 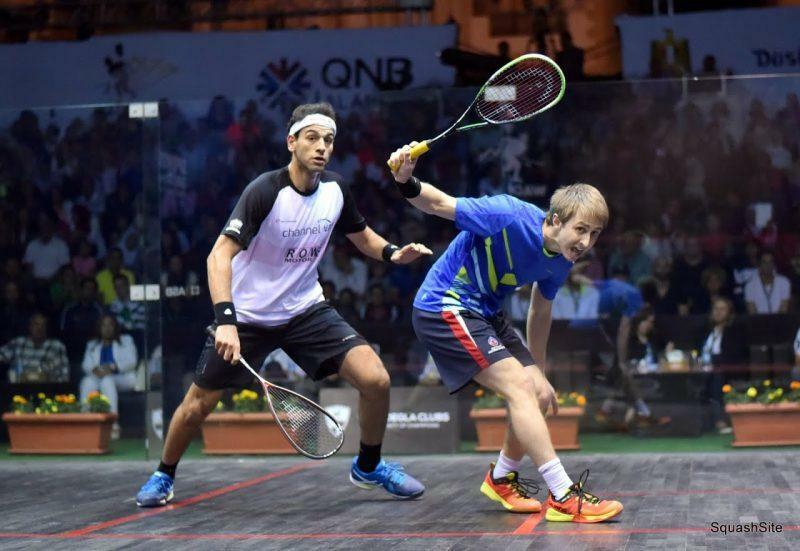 Slightly light on padding higher in the shoe – I’ve hit my foot by accident with my racquet and it hurt! Wear-wise its too early to tell, but I am hopeful – they are much sturdier on the inside toe area which is always where my R9’s disintegrated. Overall I love them – just wish they were cheaper! Hope this helps. Just a follow-up to my original review ib the Kobra mids, I’m still playing with the same pair 6-months later and they are wearing *really* well – far better than my old race r9 xc-mids ever did. The materials they have used in the toe area seem just about perfect and the other bits that might go – e.g. eyelets are all good. I still find it’s slightly too easy to over-tighten over the top of my foot, but other than that they are just about perfect! Do you know anything more about the black-yellow model (the ‘low’ one, not the mid)? I’ve been looking for it desperately and I can’t find it anywhere. Will it come out in the future? I looked around but I couldn’t find it either! Hope they get some more stock in, because it’s a nice-looking shoe. How has your wear been on the balls of your foot on the inside of both your Kobra and your R2’s? So on the inside underneath the balls of your feet. This is where my shoes wear away the most and often cause holes through the inner sole quite quickly. woudl be interested to know as I can’t make up my mind between the Kobra’s and the Wilson Xaos. 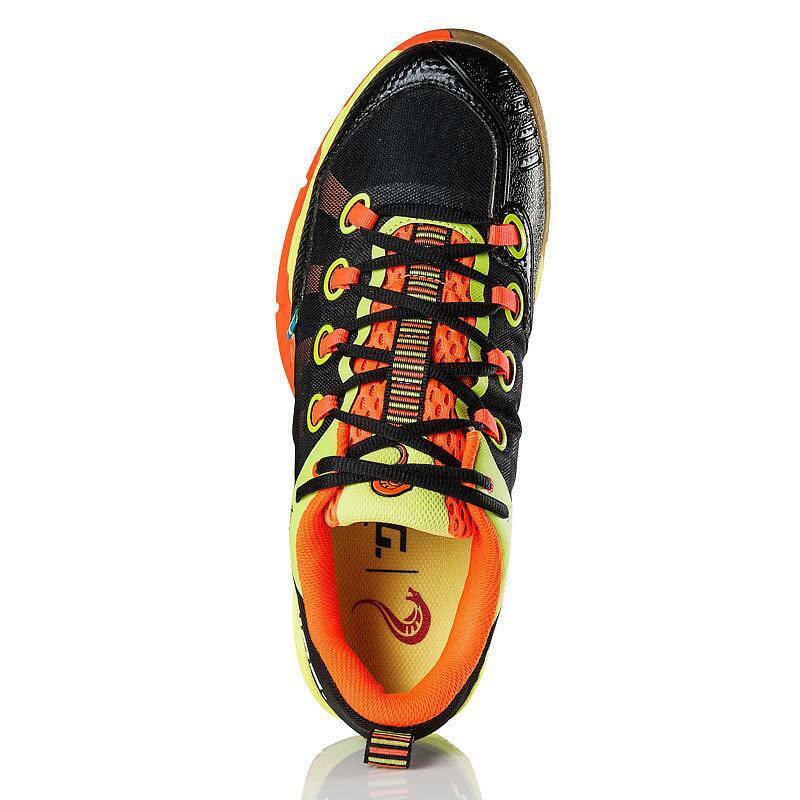 Lol….Thank you Peirre for the quick response but I actually meant inside the sole. So on the inner sole on the balls of your feet. 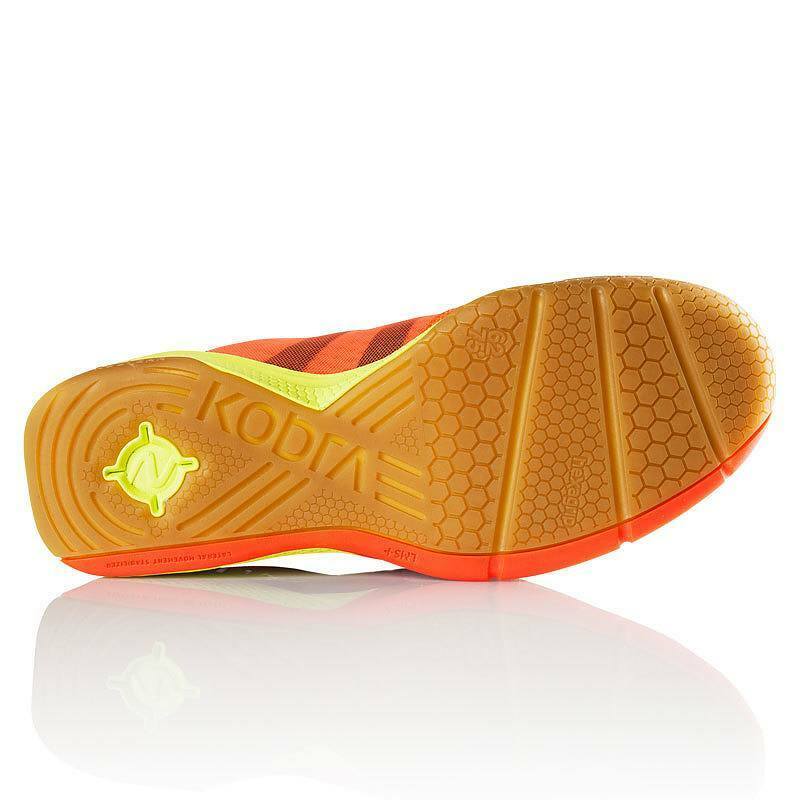 My Orange kobra has similar sole condition and it’s wearing out from the edges. 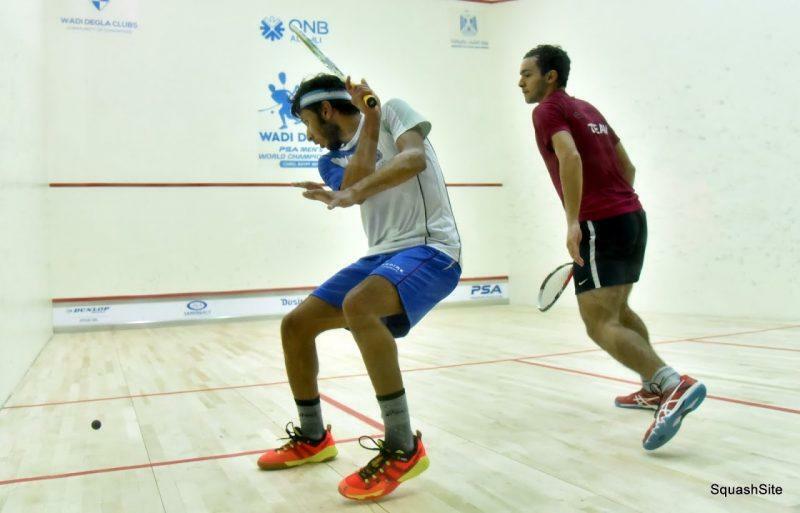 Could it be the reason that I slip on court? 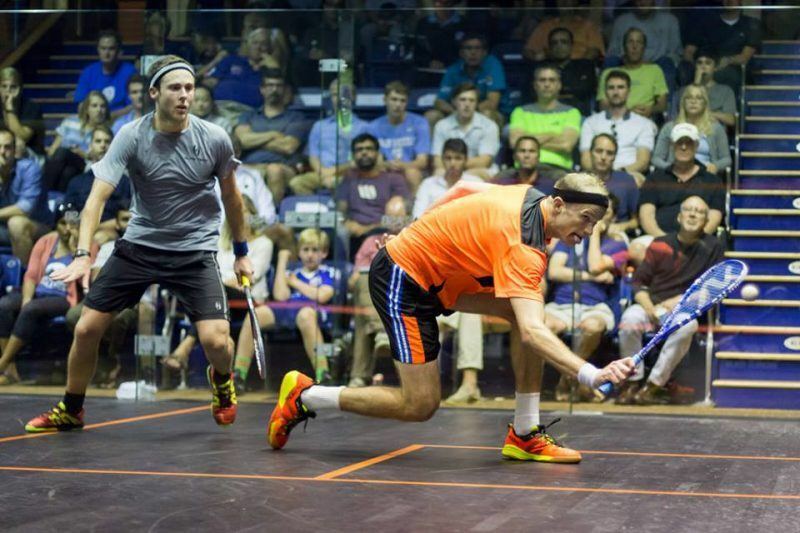 I’m just not sure if it’s time to get new squash shoes. Yes it could be the wear and tear on the soles that is causing you to lose grip. Unless your courts have gotten dusty or something like that. It’s a bummer they didn’t last a full year. 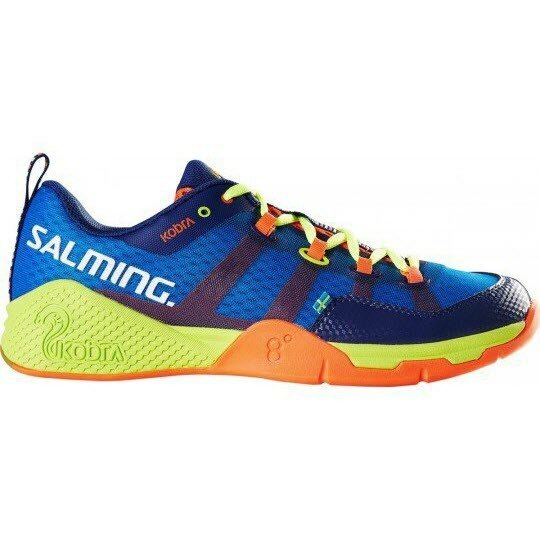 i have wide feet should i go for salming kobra? 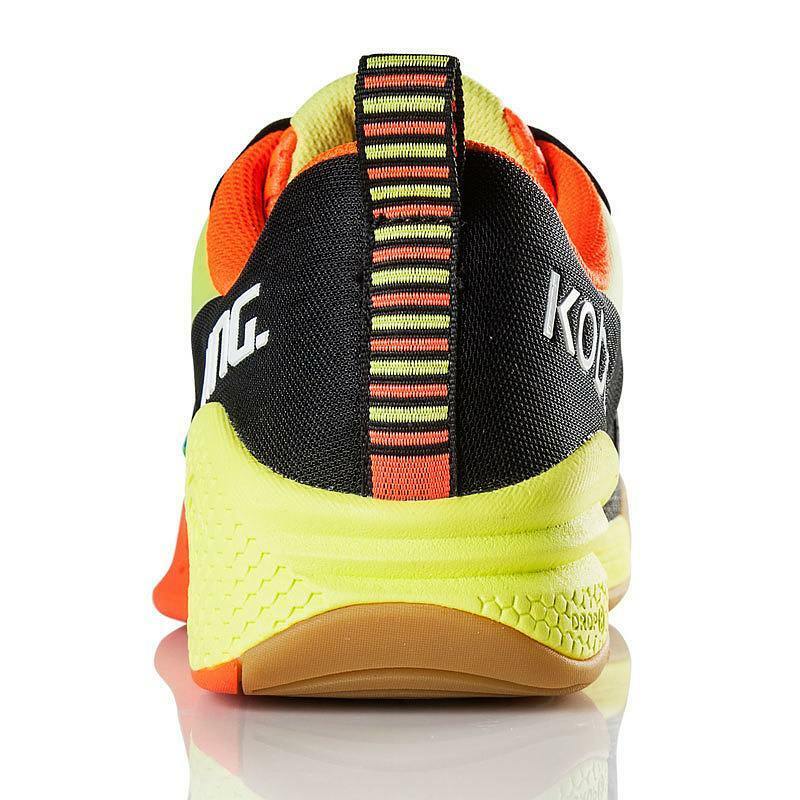 How are the Kobras as compared to Asics Gel Blast 7? You mentioned that you felt the R2s had some nice arch support. Do you know if the R9s have a similar feeling? I have never used the R9s but I believe they have the same general design as the R2, just with more ankle support. My guess is yes they’ll have a similar feeling. 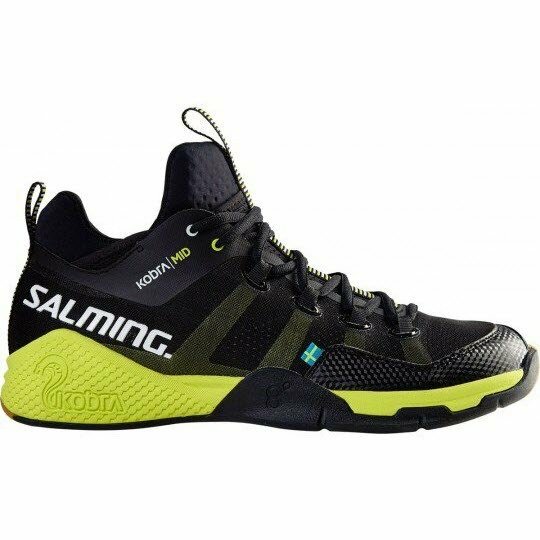 I ordered salming kobra 3 month ago. It might be weak in trems of durability. This seems to be the case with most salming shoes. I am on my 4th pair, most recently I was looking at getting the Kobras but due to the £100+ price tag here in the UK I was put off, but managed to pick up the orange vipers for cheap so went with those. Theses arrived 1 month ago, and already showing significant wear on the toe and in step of the shoe. However, my previous vipers (green) went through the similar process, wear appears quickly on the upper but then doesn’t get too much worse. The problem I had was the sole, the in step wore down so much there was barely any rubber sole underneath my big toe (these were bought in Jan 2016 and I had to ditch them by August). However, I must say they are comfy and light and flexible. 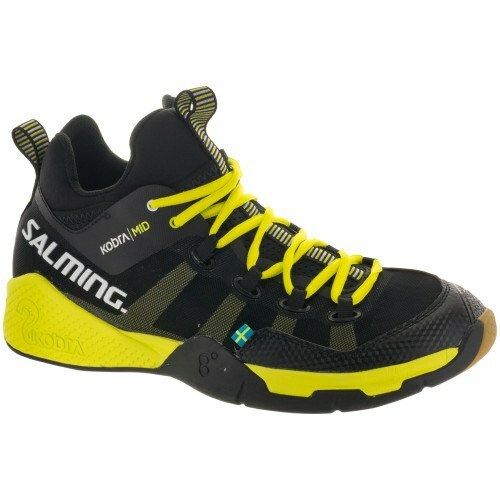 By far the best shoes I’ve played in, and would recommend Salming to anyone, but warning them of their durability. I experienced problem in the sole within 1 month. The sole tore one part. 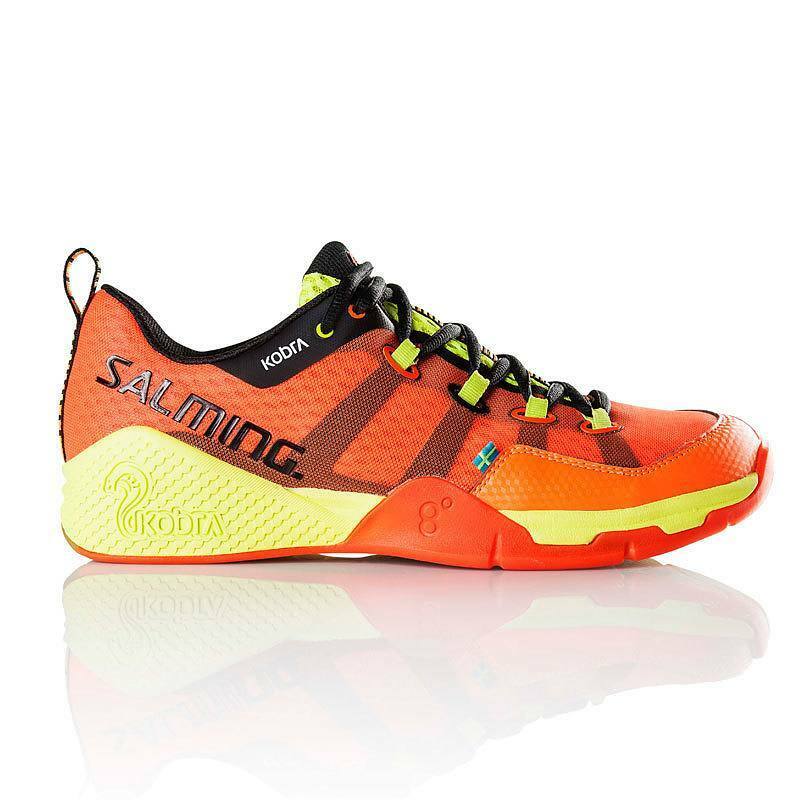 The Salming Vipers have a fatal flaw in that the sole is not one piece. 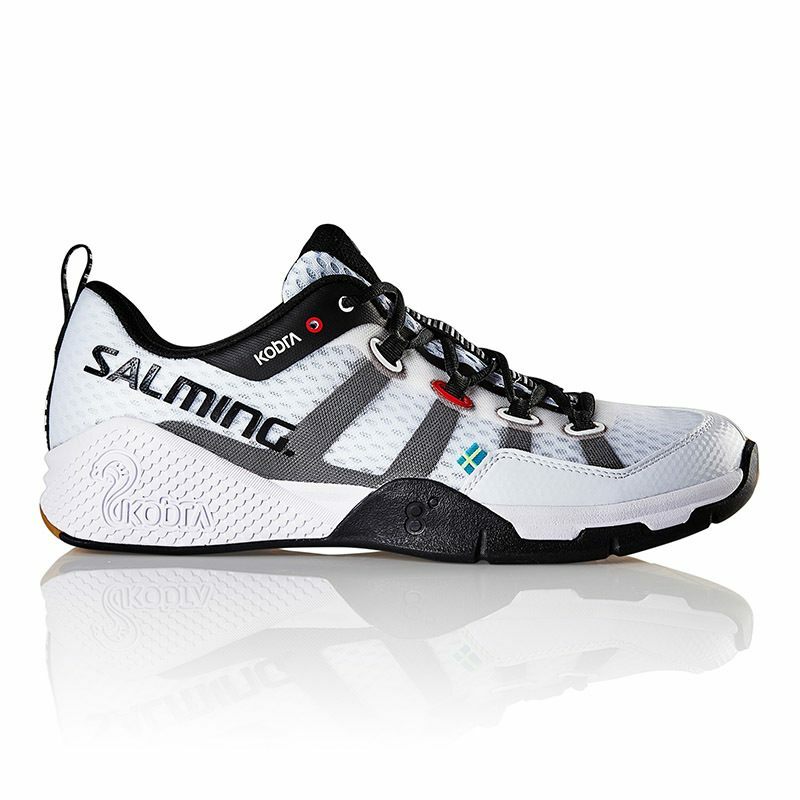 I’m on my free replacement from Salming and the sole on my non-lead leg is ripping off again after 1 week. 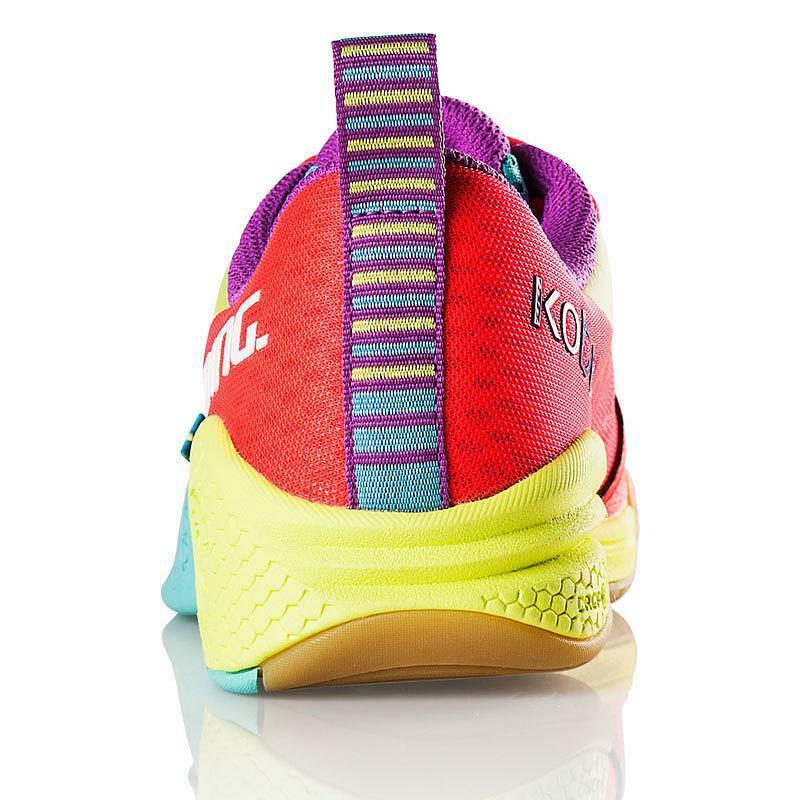 Granted I play hard and scramble, but if you look at most court shoes the sole is molded as 1 piece. The Viper has a piece overlaid and glued? onto the bottom. BAD design. Great looking shoes, as always with Salming! I’ve used the R1, R9 and Viper. I completely agree with Piere, the Viper has a really low profile and therefore very little padding in the heel and ankle area. R1 shoes were incredibly comfortable. I’m currently using the R9 just had a season in them and I’m very pleased. They are similar to the Prince shoes with the higher profile and more support around the ankle. I’m very interested in the padding situation of the Kobra too. If they are like the R1 or R9 I’ll be getting them for next season as they look great! Anyone know the actual difference when it comes to comfort/padding, and why i would buy an R1 1.0, 2.0, 3.0 over an R9 2.0 or R2 1.0, 2.0, 3.0 etc…. It seems the R1 3.0 would be the current choice as it’s the latest version of the R1, and based on pricing with R1s a bit higher than R2s, it suggests the R1 lineup is meant to be better than the R2. Yeah it’s a bit confusing I have to agree. I don’t know about the Kobra and Adder as they are not out yet. I’ve personally worn R1, R2 and Viper. I feel Viper has the least padding so I’d rule that out for you. I couldn’t detect a padding difference between R1 and R2 but I’ve heard some say R1 is a little better. Then within R1/R2 they have version numbers but I don’t believe there’s a big difference between the recent versions (i.e. between 2.0 and 3.0), so I’d just get whatever’s available and looks coolest to you. Lastly the R9 is similar to R1/R2 but has more ankle support if you want that. Hope that helps. Thanks, seems the sizes i needin ether (UK 12.5/13) are quite rare, and even rarer in any shops near where i live to actually try them. May have to just do a blind purchase and hope they fit fine. Will Salming keep the existing line (Viper, Race R1, R2) besides the new models (Adder, Kobra)? Yes, there’s a new version of the Viper (3.0) in blue. I haven’t seen any others yet! where can we buy these bad boys!!!! August 1st. But you can preorder them starting this beginning ofJune.